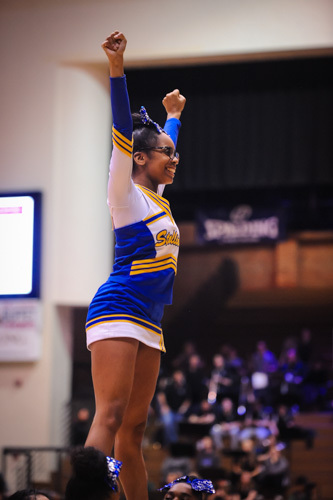 High School Sports – Page 2 – Welcome to Wyandotte Daily! 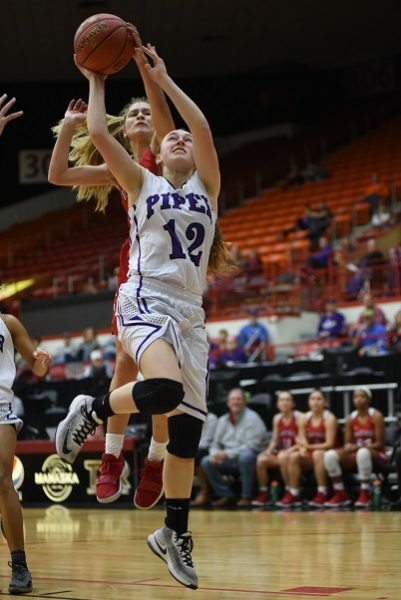 The Piper Lady Pirates suffered their only loss of the season in their showdown with the Bishop Miege Lady Stags in the final of the 4A KSHSAA state tournament in Salina. 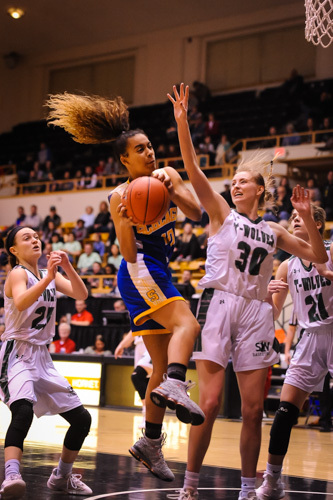 The contest featured Kansas’s two best girls basketball teams, but the final result seemed set early on. 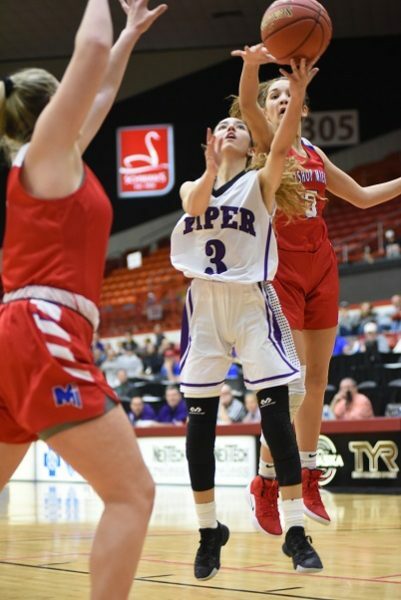 Bishop Miege’s speed prevented Piper from enforcing their usual trapping defense, and Miege took full advantage, pushing the ball ahead and using sharp inlet passes to create easy shots. 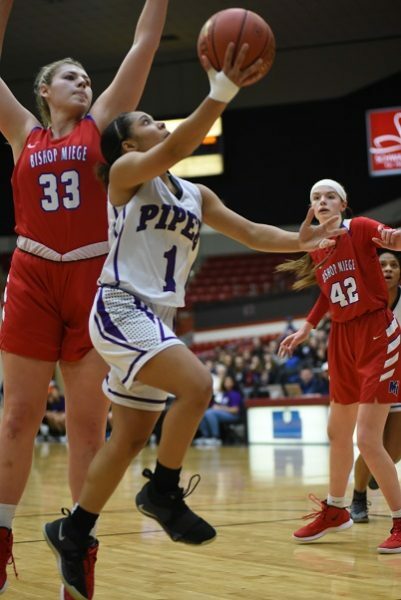 Piper’s odds dimmed less than two minutes in when forward Ali Vigil went down with a knee injury while trying to cut off a Miege shooter. Vigil was on the floor for a few minutes before being carried off the court by trainers. She returned to the bench in the second half on crutches. 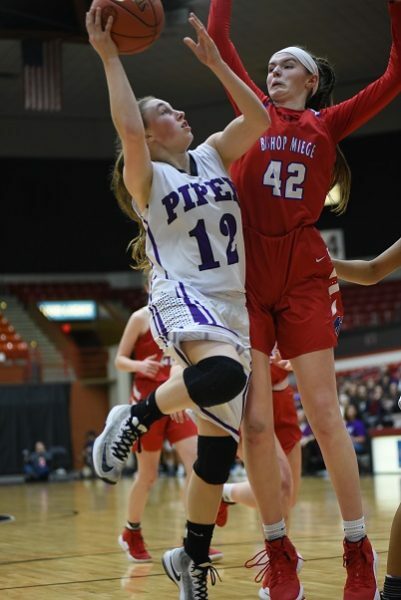 Miege’s defense also kept Piper off balance. They were able to keep the Piper guards in front of them, and Piper wasn’t able to free up their outside shooters. 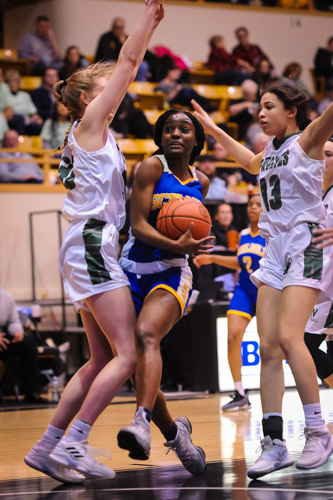 Piper found the most success directly off the dribble from guards Evelyn Vazquez and Samiya Simmons. When Piper’s forwards attempted to go inside, they were met with fierce resistance. Miege picked up a total of 10 blocks in the game. 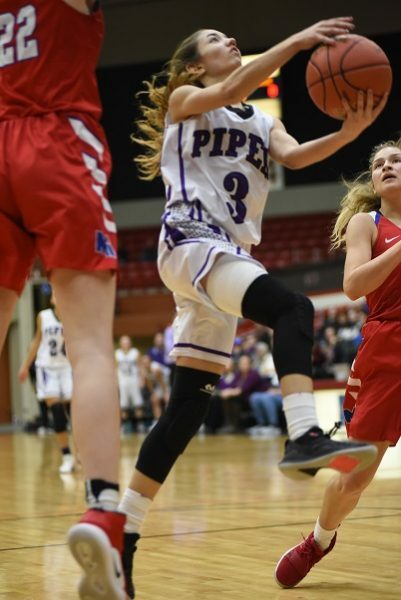 Piper’s usually accurate shooting suffered, dropping to 28 percent from the field. 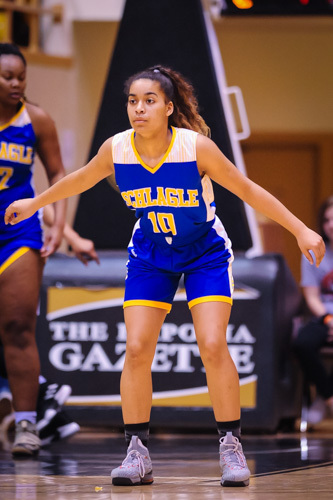 Vazquez led the Lady Pirates with 12 points and 7 rebounds. 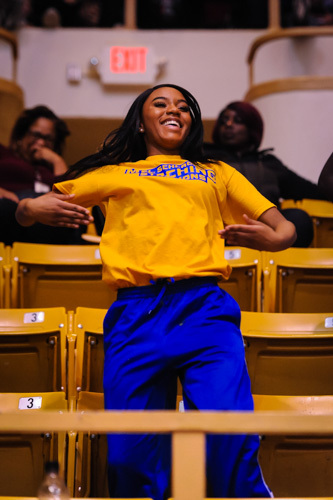 Ryan Cobbins scored 9 points, and Saniya Simmons added 8. 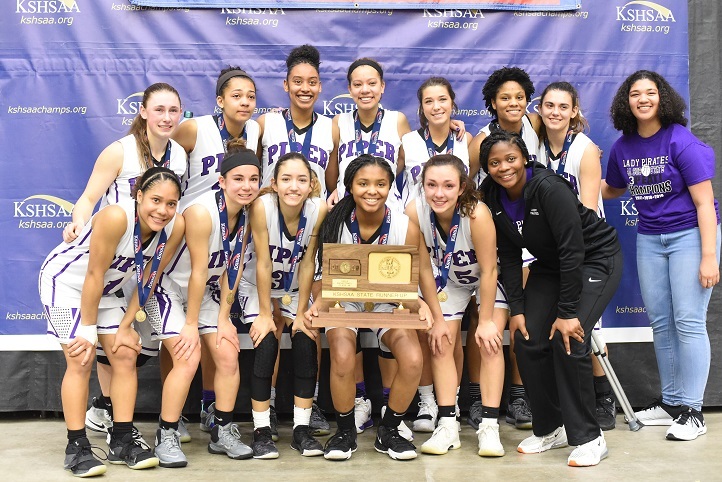 Piper ends the season with a 23-1 record, and conference and substate championships. 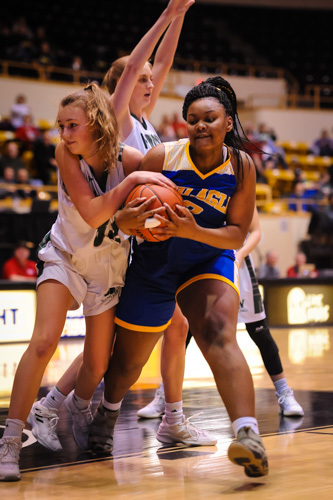 The Schlagle High School girls basketball team lost to Blue Valley Southwest on Friday evening, 43-41, narrowly missing the opportunity to play in the 5A KSHSAA state title game on Saturday. 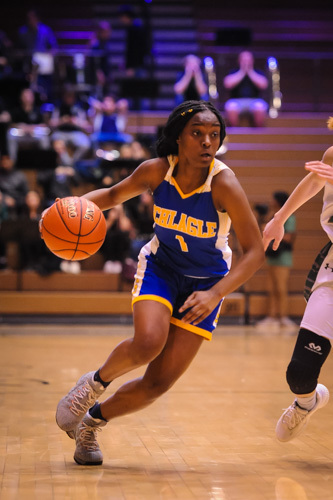 Schlagle held a 25-20 halftime lead, but Southwest clawed its way back in the third quarter, outscoring the Lady Stallions by nine to pull ahead. Schlagle stayed close through the closing quarter, but wasn’t able to close the gap. 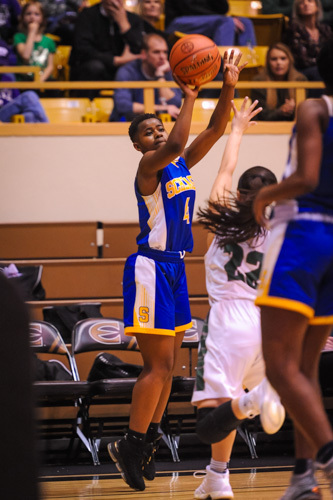 A final, potentially game-winning 3-point shot from Armanaie Blacksure fell short. 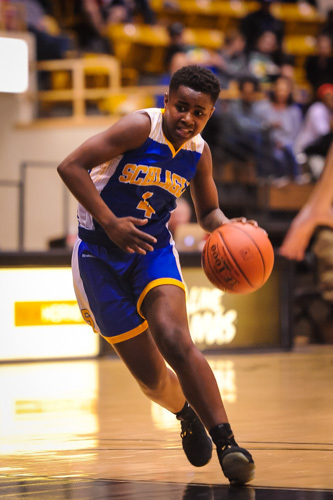 Blacksure led the Lady Stallions in scoring, picking up 18 points, including 5-for-11 on 3-point shots. 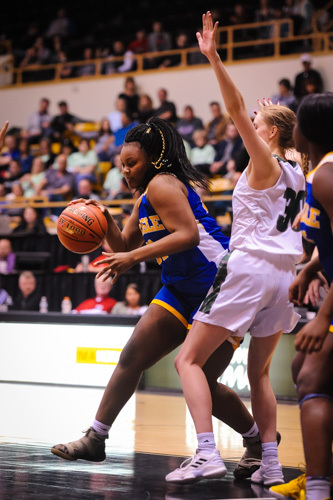 Camille Evans scored 12 and pulled down 10 rebounds. 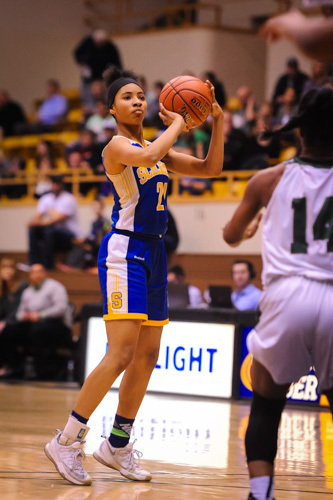 Ishante Suttington, the Lady Stallions’ leading scorer for the season, was not able to play because of a knee injury. 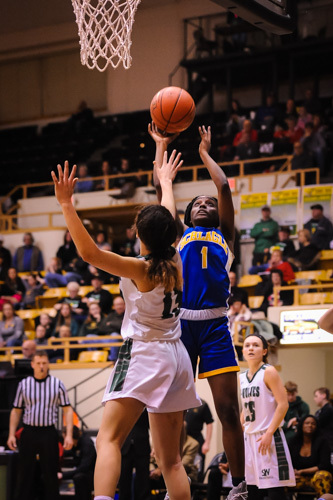 Schlagle will play for third place on Saturday against the McPherson Lady Bullpups. 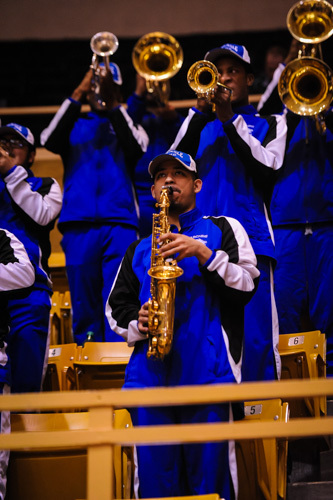 The game will take place at noon at the Emporia-White Auditorium. 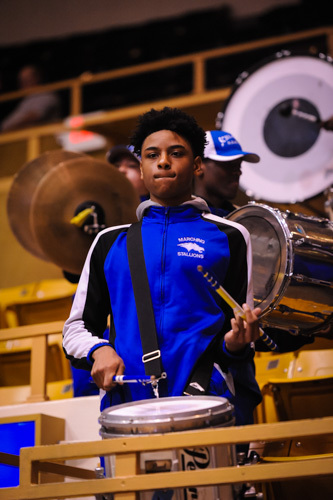 Piper High School has never played for a basketball state championship in school history. Now the Pirates have a chance for two. 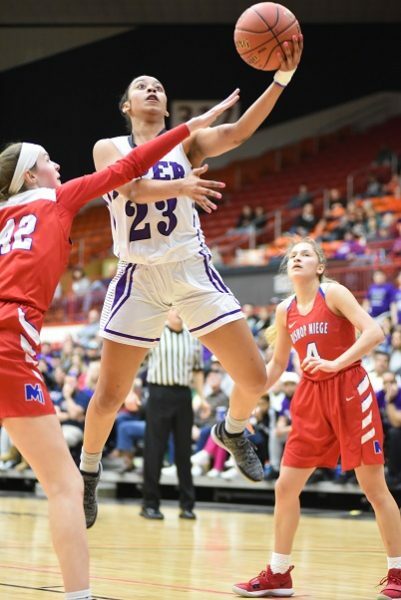 Both Piper basketball teams will be playing for state championships on Saturday after winning Friday’s semifinal matches in the 4A KSHSAA state tournament in Salina. 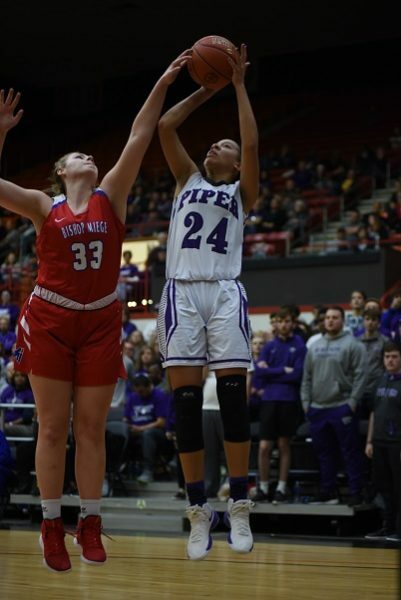 The Piper boys defeated Wichita’s top-seeded Trinity Academy 57-54 in a nailbiter. 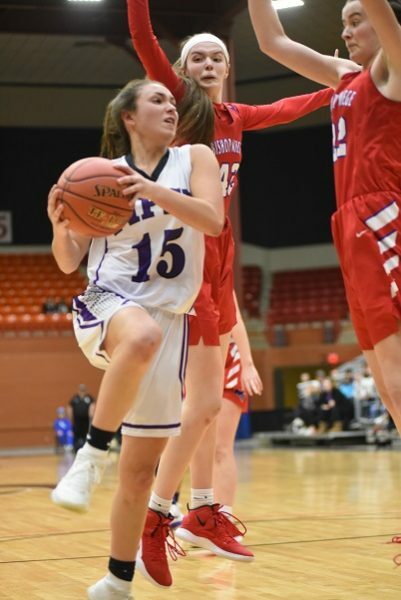 After Trinity tied the game at 54 with less than a minute remaining, Piper’s Ty Shelley hit a 3-pointer for the game winner with less than 5 seconds left. The Pirates will face the winner of the late game between Augusta and Baldwin for the championship at 6:15 p.m. 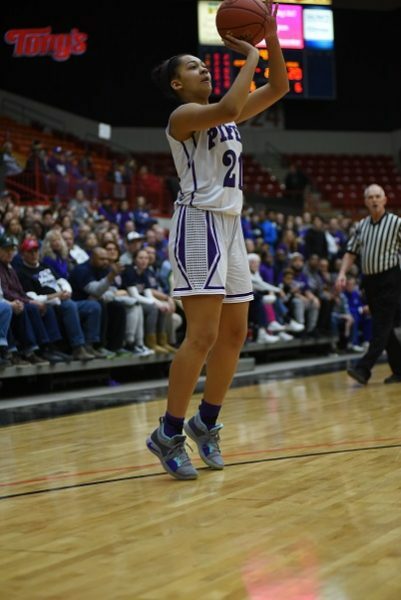 The Piper Lady Pirates outperformed the Nickerson Panthers to win the 4A KSHSAA semifinal game 72-40. 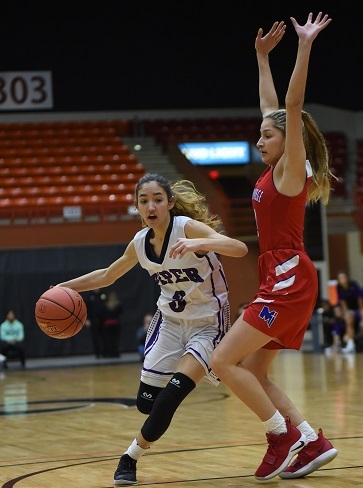 The win sets up a long-expected match between the state’s two best girls basketball teams, Piper and Bishop Miege, in the finals at 4 p.m.
Grace Banes led Piper in scoring with 15 points on 3-of-6 shots from 3-point range. Ali Vigil scored 13, including three baskets beyond the arc. 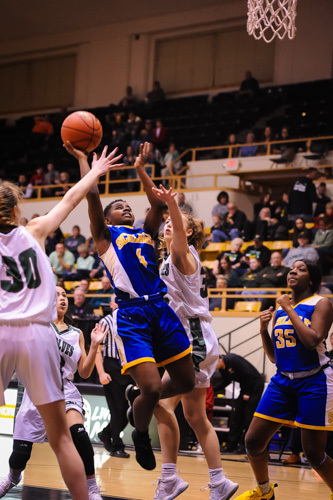 The Lady Pirates as a team hit 55 percent from the floor and 41 percent from 3-point range. Update: The Piper boys team will face Augusta in the finals at 6:15 PM.